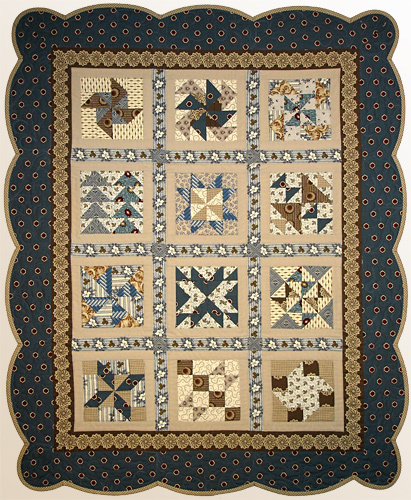 5" star blocks alternated with Courthouse Steps blocks & finished off with a scrappy-look bar border make a very striking statement. 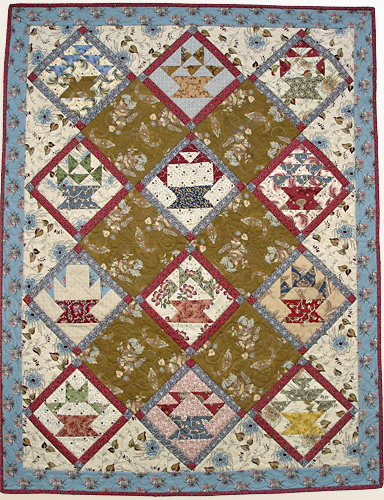 This quilt would make a great focal point for a family room. Size is 45" x 55". 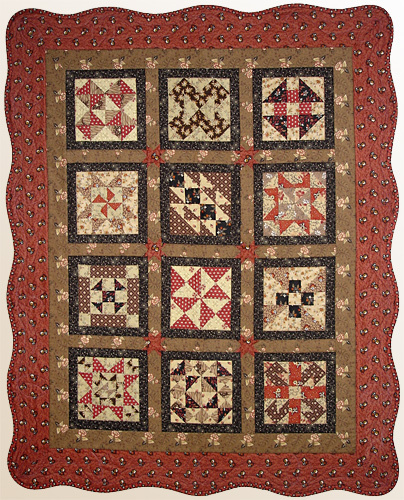 Same scrappy-look quilt as our Courthouse Stars pattern except featuring 10” blocks. Star blocks alternate with Courthouse Steps blocks for a striking statement. 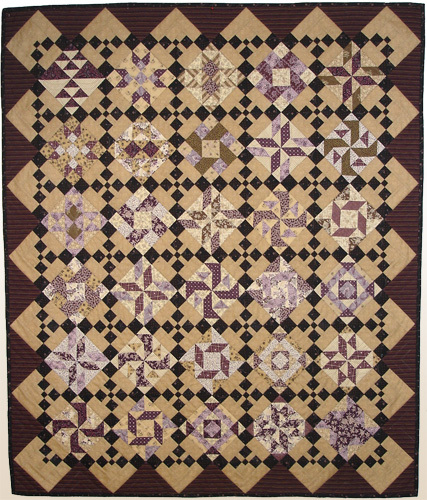 5" blocks on point make a great wall quilt, home dec project, or maybe a great gift idea. Great in this Civil War look or whatever you choose. . . maybe your scraps. 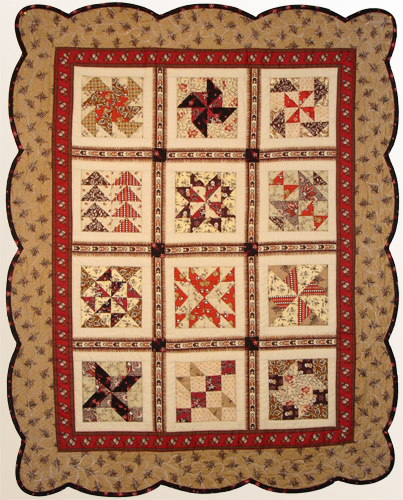 Pattern includes directions for six different blocks. 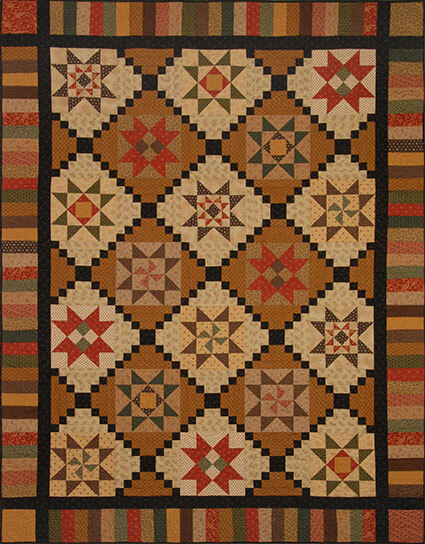 Finished size 34" X 35"
5" blocks on point with alternate blocks that make a gridwork over the entire quilt. 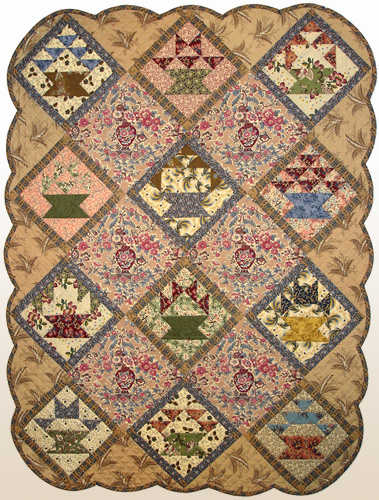 My quilt is designed with Windham Fabrics American Home Collection based on the Harriet Beecher Stowe museum pieces, so it has a very old worn comfortable feel. 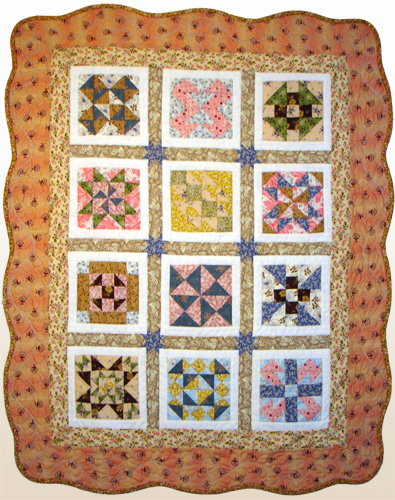 Pattern includes directions for 10 different blocks. 45" x 52"
Fabric Pak available— Contact us directly. 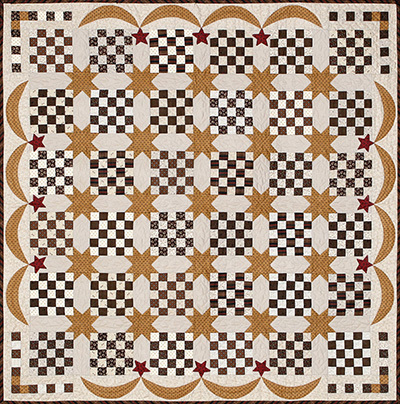 Another sampler quilt of 5" blocks from Clothesline Quilts; features cornerstone stars, a gently-curving border and 12 block patterns. 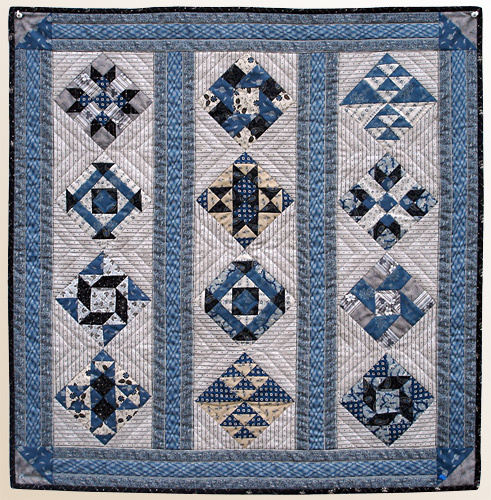 Use for your next Saturday Sampler or Block of the Month. 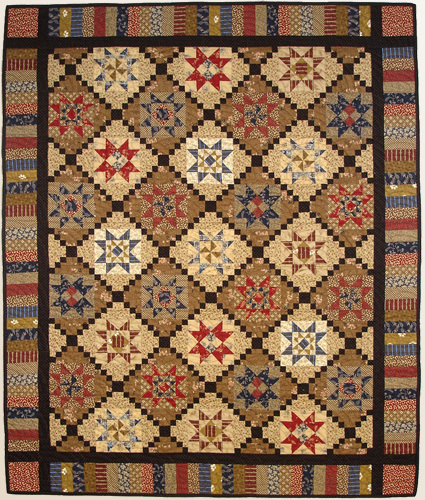 Great in Civil War fabrics or your favorite look. Finished sampler size is 33" x 40". 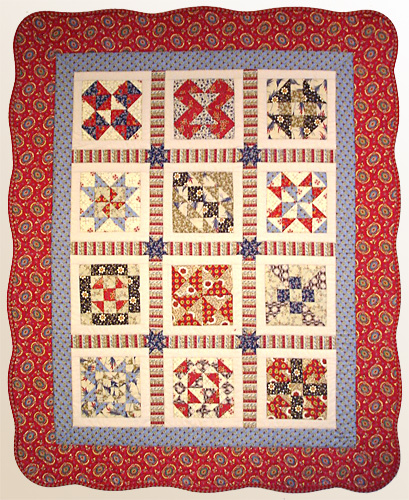 NOTE: See the Block of the Month section for information on using Union Sampler for your shop's next Block of the Month program. 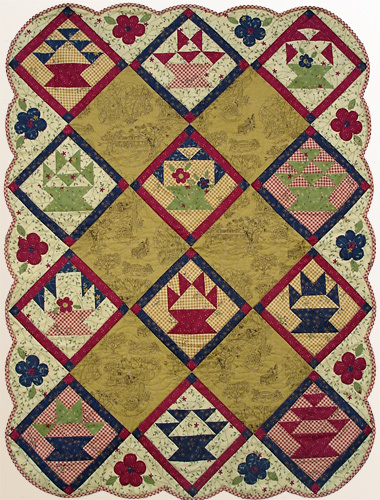 A Civil War look sampler quilt of 5" blocks features an eyecatching scalloped border. 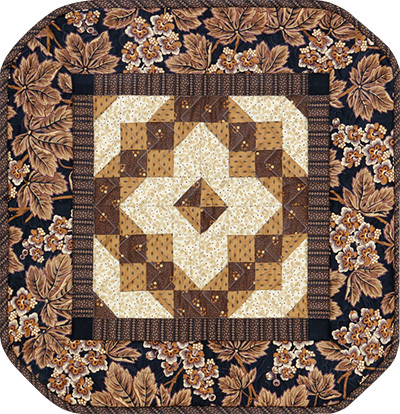 If you enjoy making a different block everytime you sit down at the sewing machine, consider sewing this 33" x 40" wall quilt for yourself or a friend.